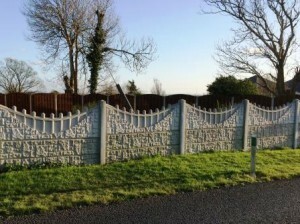 Our range of Fencing Products comes in various styles and sizes, just some of which are shown here. Have a look and call us today for more information. Post and Ranel fencing is very popular, as it is easy to install and provides a solid fence to maintain privicy and security. It is flexible and can be installed to whatever height suits your garden. This is available with a plain finish, with a rock face finish and double top panels in the rock finish are also available. 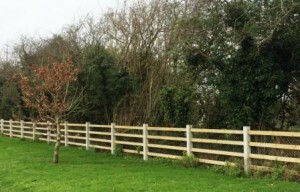 Post & Rail fencing is suitable for both gardens and agricultural uses. 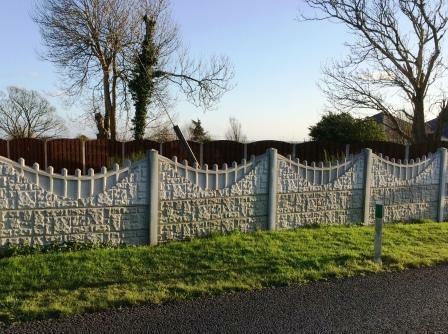 Our high quality concrete will outlast timber alternatives and needs little or no maintenance, depending on whether you choose to paint the fence or enjoy the naturally white grey colour of our concrete. These are 3-hole fence posts. Post and Timber Rail fencing is great for both gardens and agriculture use. 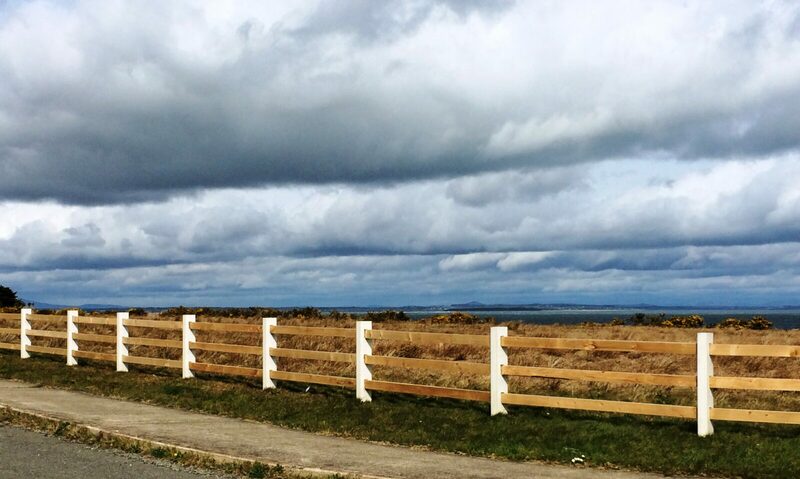 These 4-hole fence posts look great in any setting. Concrete post with timber rail fencing is also suitable for three timber rails.